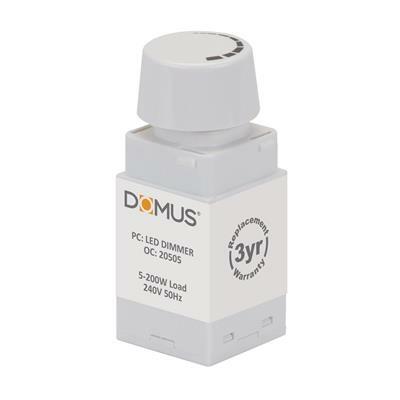 The INTRO-8 8W LED lamp and integrated driver is now available from Domus Lighting. Combining both lamp and driver together effectively allows for a smaller footprint, thereby reducing space consumed within ceiling spaces and the added difficulty during installation! 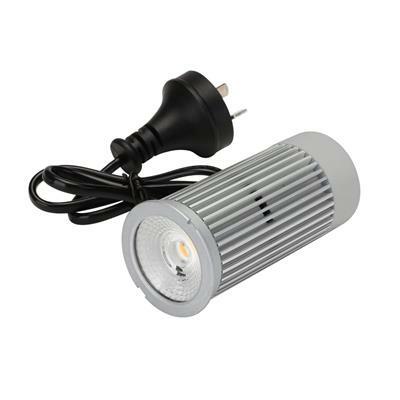 The heat sink allows for excellent heat dissipation, while Sharp COB (Chip on Board) LED technology allows the INTRO-8 to provide and maintain a high intensity 60 degree beam of bright light. The INTRO-8 is available in both White LED and Warm White LED models. It has a 50mm diameter making it a perfect replacement to most traditional halogen lamps and is fully dimmable with the Domus Dimmer. INTRO-8 has a lifetime of 40 000 hours and is also fully backed by our Three Year Replacement Warranty for peace of mind.